For those of you that might not know, an Arnold Palmer is a drink that combines both iced tea and lemonade. It was created and made famous by the American golfer named Arnold Palmer (go figure). I remember the first time I ever tried one, I was in heaven! It’s the perfect summer drink to sip outside on the patio with friends (or alone!). As good as the classic is, I thought I’d change things up a bit and make them even more Summer appropriate by freezing this delicious pairing into a popsicle mold! 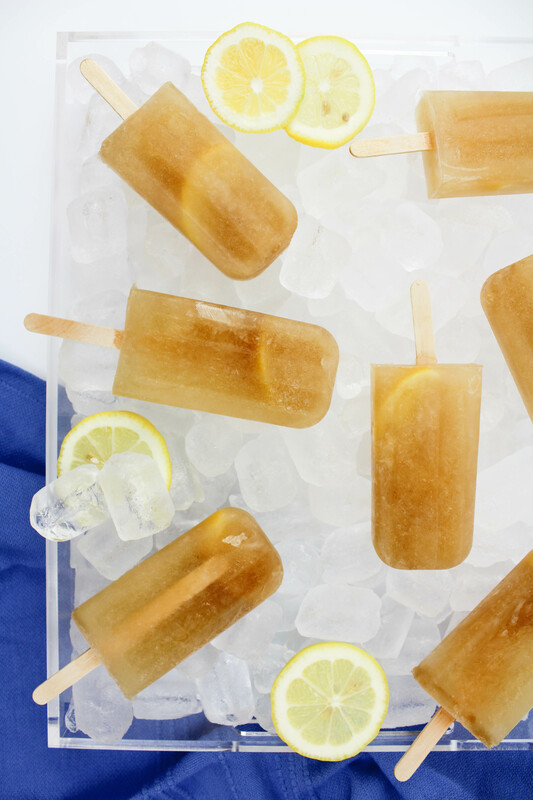 But…that’s not all…I’m also adding an adult twist to make these pops Summer party perfection. Alcohol! Boozy Arnold Palmer popsicles! Lemonade, iced tea, and booze?! YES! The recipe is simple and only requires a little bit of patience while you’re waiting for these guys to freeze. (I purchased a pre-made iced tea and lemonade juice, that was already combined, at my local grocery store, but you can also easily make your own. It’s equal parts iced tea and lemonade). In a pitcher, combine the Iced Tea/Lemonade juice and the citrus vodka. If you want to add a bit more lemon flavor, squeeze in the juice of half of a fresh lemon. Stir well. Pour the mixture into your popsicle molds. 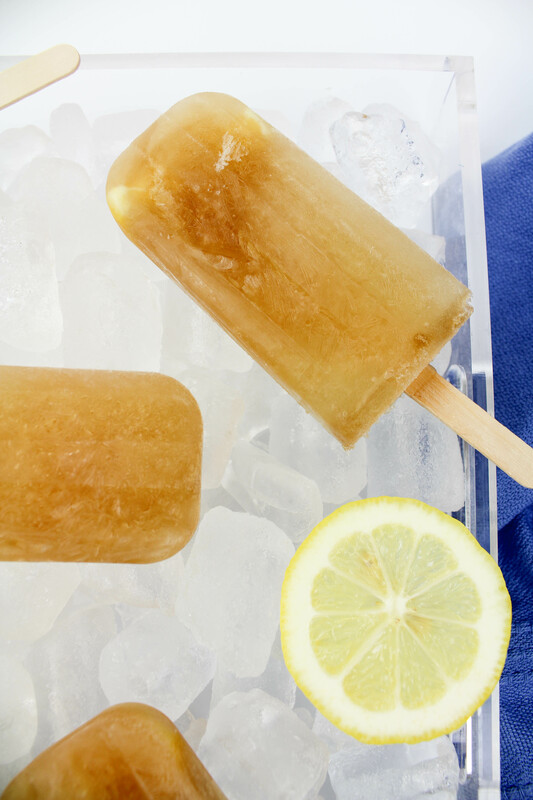 For a little extra pizzazz, pop a lemon wedge into each mold. 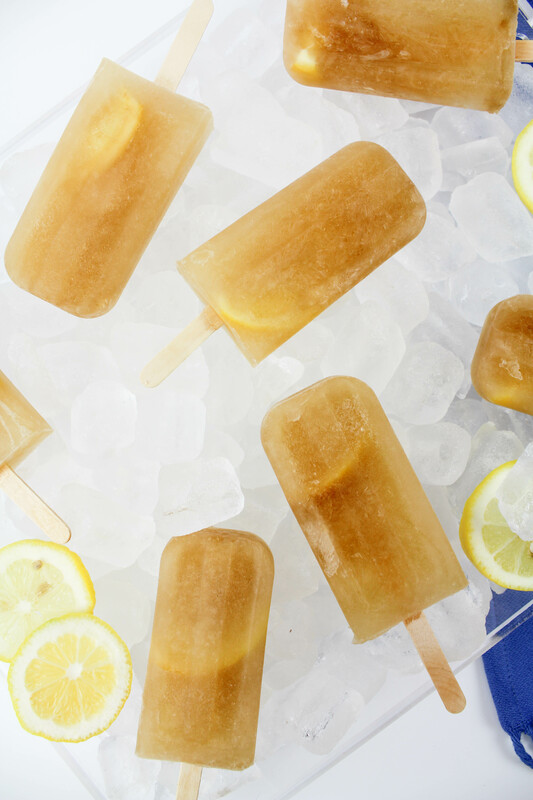 Put the popsicle mold into your freezer and allow to freeze for at least 4 hours. (I let mine freeze overnight). 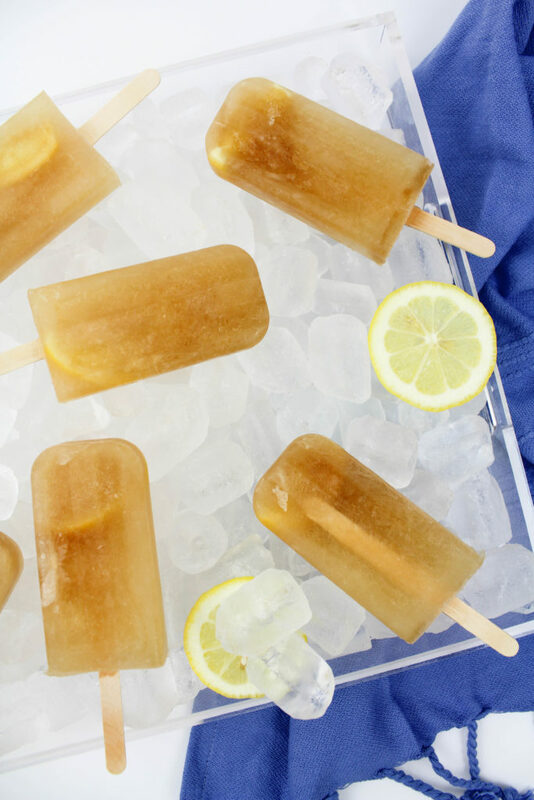 Carefully remove each popsicle from the mold and serve! 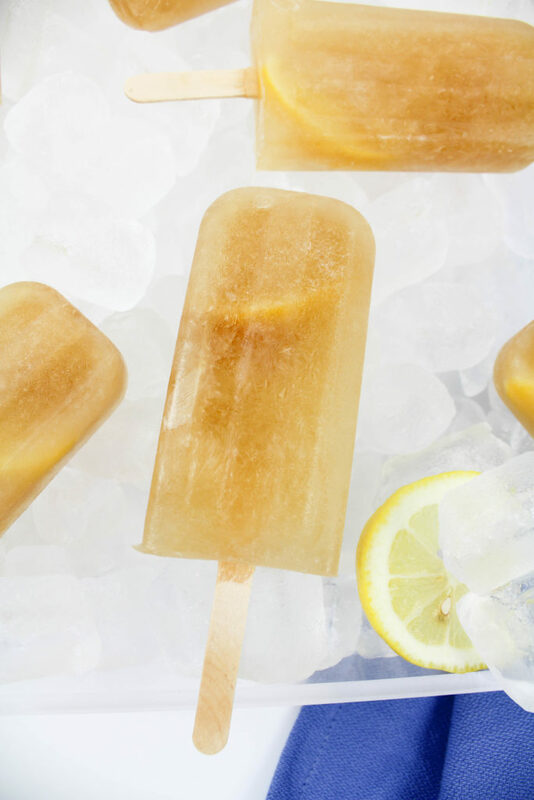 These boozy Arnold Palmer popsicles are an easy way to kick off this long weekend and enjoy the last few days of Summer that we have left!